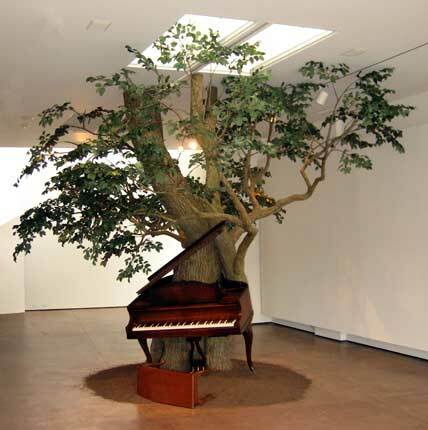 Opening September 23, 2011 is the Sanford Biggers: Sweet Funk – An Introspective at the Brooklyn Museum of Art. New York-based artist Sanford Biggers challenges and reinterprets symbols and legacies that inform contemporary America in the focused selection of thirteen pieces in the exhibit. The exhibition is Biggers’ first museum presentation in New York, and it is the Brooklyn debut of Blossom (2007), a large-scale multimedia installation that incorporates references ranging from lynchings to Buddha’s enlightenment under the bodhi tree. Recently acquired by the Brooklyn Museum, Blossom also alludes to the ideologically tinged landscapes of artists such as Alfred Bierstadt and Frederic Church. 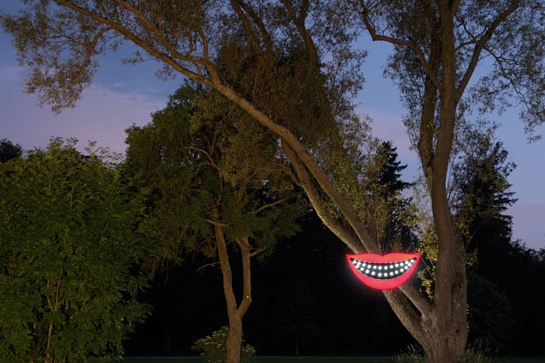 Chesire (2008) another related piece, is a sculpture that references both the disembodied smile of the eponymous cat and the caricatured grin associated with blackface minstrelsy. The exhibition runs through January 8, 2012.